It’s Mothers’ Day tomorrow. You remembered, right? 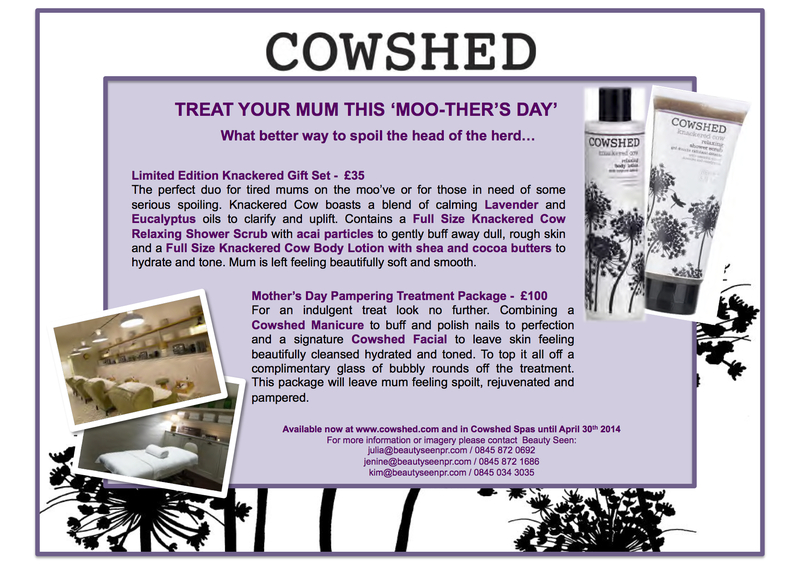 Ok, so just supposing you didn’t…Cowshed have a suggestion, which we are passing on to you. You’re welcome. (Ps Mums like chocolates and Champagne too).